A Family Finder test is a very simple DNA test that anyone of any age or gender can do. It is called 'Family Finder' because it has the potential to find family. Family Finder is very popular with genealogists (family historians) looking to extend their family trees and solve family mysteries. It is also very popular with people of unknown parentage looking to identify biological relatives (eg. adoptees, donor-conceived, former child migrants, foundlings, war babies). Your DNA sample is sent to a laboratory in the US where a special high-tech computer chip reads approximately 700,000 markers in your autosomal DNA. A computer then compares your DNA with the DNA of everyone else in the company's database and provides you with a list of everyone who matches you, with the closest relatives at the top of the list. As more people test, you will continue to get new matches. These matches are our biological relatives, connected to our family trees. The fun and the challenges start once you receive your list of matches, as you try to work out how and where you connect. People and paperwork can lie, but DNA doesn't lie... so be prepared for some interesting discoveries. Most Australians & New Zealanders with British & Irish origins will probably start with a thousand or more matches, the closest usually being in the 2nd-4th cousin range. The occasional lucky tester might hit the jackpot and match close family upon initial testing. Others might recognise the names of relatives they know or are aware of but had not known they had already tested. Most matches will be unknown to you, so you will need to correspond using the email address provided, and use traditional genealogical research techniques and clues from shared locations and timeframes to confirm your connections. Close matches will occur more often as more and more people test. A Family Finder test can be done by anyone of any age or gender. If you are considering testing for family history research purposes and you still have parents and/or grandparents living, do get them tested while you still can. DNA is diluted by 50% at each generation, as you only inherit 50% of each of your parents' DNA. Older generations will match with more cousins and with closer relationships than you will. Each child in a family inherits a different mix of 50% of DNA from each parent (that's why they look different), so your siblings will match some different cousins to you. It will help your family history research to also test siblings if possible. Who can it match me with? The Family Finder test is very accurate at detecting immediate family and close relatives up to 2nd cousins - including siblings, half-siblings, parents, grandparents, aunts, uncles, nieces, nephews, 1st cousins, half-cousins, etc. It can detect matches to biological relatives on all ancestral lines, back about 5 or 6 generations (or more in some cases), although the probability of matching cousins who have tested at the same company reduces as the relationship gets further and further back (but the numbers of those more distant cousins are larger). If you'd like to know more, read how autosomal DNA can find matches on all ancestral lines. What is the probability that my relative and I share enough DNA for Family Finder to detect? What is the DNA test? 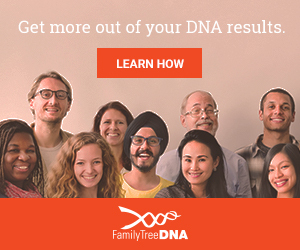 The DNA test kit is purchased online from Family Tree DNA in the US and arrives by regular mail. It is a simple cheek swab - just like wiping a cotton bud (Q-tip) inside your mouth. See what a Family Tree DNA test kit contains and how to use it. Family Finder costs US$79 plus US$9.95 shipping (total approx A$125) plus A$3 to post the kit from Australia back to the US. Family Finder is excellent value and a great product. For a comparison with the other brands, refer to Which DNA testing company should I use? Also check DNA test sales & discount offers in case you can save a few dollars. Allow 2 to 3 months, as it takes a few weeks to receive the kit, a few weeks for it to arrive back to the lab in the US, plus about 4-6 weeks of processing time. Occasionally there are delays when FTDNA is extremely busy or has a sale on, but that usually means more people are testing, which means more matches. Yes, it is very easy to order a kit and have it delivered to someone else. FTDNA ships kits to Australia, New Zealand, UK, Ireland, USA, Canada, and to most other countries1, so you can order and pay for a kit as a gift for a relative and have it sent directly to their address. It is the perfect gift for birthdays, Christmas and other special occasions, especially for someone who already has everything. If you order kits for several family members who are closely related to each other, they would expect to see each other in their match results! Click here to go to the Family Finder page on Family Tree DNA's website, or for step-by-step ordering instructions see How to order a Family Tree DNA test kit. The relatives in the match list can range from very close family to 5th+ cousins. A separate part of your Family Finder results is called myOrigins which includes ethnicity estimates from your much deeper ancestry, generally beyond the timeframe of your genealogical research. Results are provided as percentages of population clusters, as well as represented in an interactive map format. The locations of your Family Finder matches’ most distant direct paternal and direct maternal ancestors can also be viewed on this map, by clicking on the orange pins (paternal) and green pins (maternal) that are located at the bottom right corner of the page (see image below). Using the Shared Origins window at the bottom left, you can search for particular matches, sort the columns, filter by relationship, hover on match names to identify their pins on the map, and click on the My Ancestral History tab to view the cluster information for any coloured cluster you hover your mouse over. Can I manage a relative's DNA test for them? Yes, with the relative's permission, you can manage their DNA account for them - especially if they have agreed to test for you and for your family's genealogy but are not particularly interested in the ongoing research or correspondence. It is common for one family member to become the 'genetic genealogist' of the family - someone who encourages others to test, orders the tests, analyses results, corresponds with matches, and shares the family tree and all the exciting DNA discoveries with the family! But it is even better when more relatives get involved themselves, so do share your interest and findings widely! You can attach multiple email addresses to each DNA account, so both the testers and the administrators can choose to participate at their desired level of interest. In fact, it is better if you can encourage other relatives to test too, as matching known cousins can help identify which of your shared matches are on your paternal side or maternal side. Have you already tested at AncestryDNA? If you have already tested your DNA at AncestryDNA, 23andMe or MyHeritage DNA, you can transfer your raw DNA data file to FTDNA's Family Finder product and view your matches for free (note: the number of matches depends on the version of the kit you are transferring). You can then choose whether to pay US$19 to unlock additional features of Family Finder - including the chromosome browser, your myOrigins ethnicity estimate, and ancientOrigins. No DNA sample, postage or extended waiting is required, as you are simply transferring a copy of your raw DNA data file for processing. Go to FTDNA's Autosomal Transfer Program page for more details and to get started. You have shared very useful information about the faimly finder text. You described every section with deatil. Thanks for sharing.